If you are looking for a contractor to provide reliable and honest service, call us today. 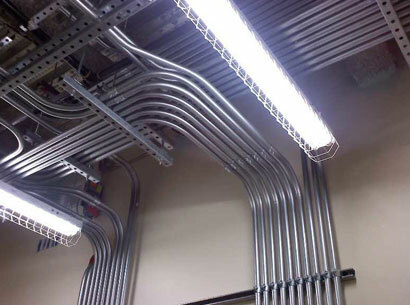 Whether you are in need of electrical maintenance, remodelling an existing office, or are planning an expansion, our experienced electricians will provide the quality you demand for your next project. If you are looking to make some lighting upgrades or are interested in energy saving options to light your business, we can help. Insurance offices, hotels, manufacturing companies, restaurants, retail shops, and banking facilities are just some of the companies that we are proud to call our customers. Let us show you what a difference our service can make. With the latest technology, you will be amazed at what the newest fluorescent lights can do for you and your employees. By designing a new lighting package for you, we can increase the light output, providing a safer and happier working environment, while at the same time, lowering your power consumption. Many lighting upgrades also qualify for rebates from your local electrical utility. Call us today for a free consultation. Lewis Electric has the experience to get the job done right and on your schedule! Tired of replacing fuses or maybe you are expanding your business? 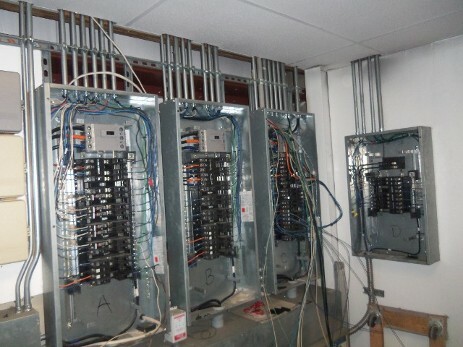 Install a new circuit breaker panel and increase the the ease of use and increase the reliability of your electrical system. We are experienced in three phase and single phase services, and will install the appropriate amperage and voltage that is needed at your business. We install new services on multi-family homes, duplexes, apartments, manufacturing facilities, office buildings and retail businesses.